Regularly performing a content audit for your social or business web site is an excellent way for you to keep a detailed inventory of everything that appears on your site. You can also review all of your content and make changes and improvements to optimize your web site on search engine results pages. What Is a Web Site Content Audit? Performing a web site content audit entails tracking, analyzing, and making appropriate or necessary changes to content that appears on your web site. Before you begin, it helps to create a comprehensive web site content audit checklist that helps you record your progress throughout the process. Depending on the amount of information on your web site, it might take anywhere from a few hours to a few days to complete a thorough web site content audit. One of the key advantages of conducting a meticulous and well thought out content audit for your professional web site is that it helps keep things organized and in turn enhances your web site’s overall user experience (UX). Ultimately, an improved, updated, organized, and well-maintained web site will keep users and customers coming back for more; broken links, outdated information, and aesthetically unpleasing designs and imagery will deter people from wanting to use your web site. For all of the above-mentioned reasons, local small businesses can arguably reap the greatest advantages from investing in professional online marketing content audits for their web sites. To begin with, you can review the content that already exists on your web site, monitor the results rendered by this content, and effectively fill in content gaps. Based on what you observe, you can also determine which content is relevant enough to keep and which content is irrelevant or outdated and must be replaced with newer and more interesting media. 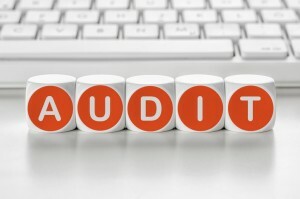 Essentially, content auditing is akin to cleaning up and organizing your web site. After all, you wouldn’t want your customers walking into a messy brick-and-mortar store, would you? A clean, tidy, user-friendly with seamless navigation sensibilities is just as important to make a good first and lasting impression. Content auditing ultimately helps you to significantly improve the quality of the content that appears on your web site by keeping it fascinating and concise enough to effectively reach your target audience. There are a few intricate and time-consuming steps associated with conducting an accurate and thorough content audit. This isn’t something you want to take lightly though, because it could have a negative affect on your online revenue if it’s not done right. The first thing you need to do is create an all-inclusive and itemized checklist of everything that’s on your web site. Make sure to leave no stone unturned as this could result in you missing something important. Then you need to fully examine each item on your list and determine whether it’s worthy or important enough to remain on your web site. Check that every single backlink, URL, image, and basically anything else that people can click on from your site are functioning correctly and still valid. The last thing you want is for someone to click on something from your site and it ends up taking them to content you don’t want associated with your professional image. Hiring a professional SEO marketing firm will help you avoid these types of embarrassing situations using the best possible practices when it comes to online content auditing. 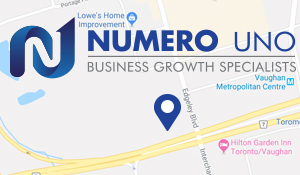 Numero Uno Web Solutions is a provider of search engine optimization (SEO) solutions to startups and small companies from all industries and fields. We have benefitted businesses in Toronto, Richmond Hill, and Vaughan, and we have even extended our services to Texas, Massachusetts, and Florida. To learn more about our content marketing techniques and how we can help improve your search profile, call us at 1-855-SEO-XPRT.